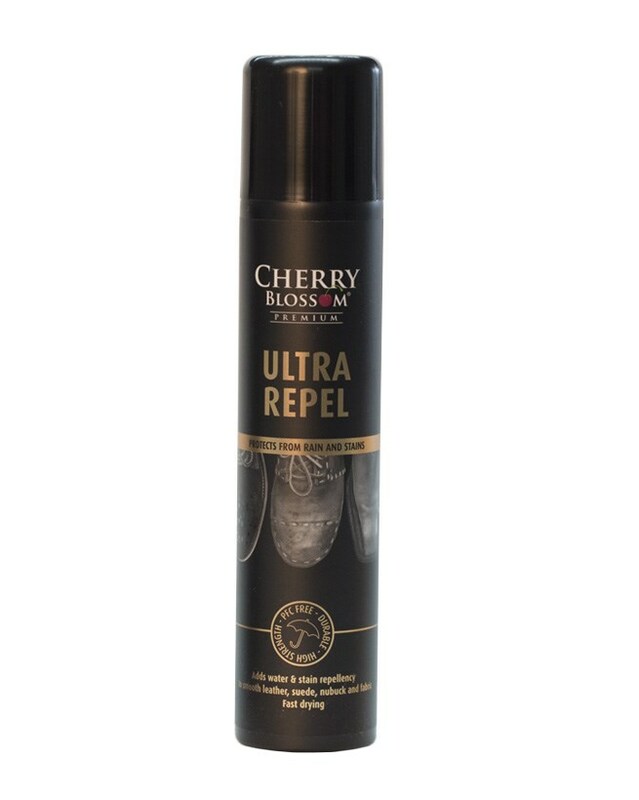 A revolution in footwear protection, Cherry Blossom Ultra Repel has been carefully formulated to give your shoes the very best protection against water and stains imaginable. Whether you've a new pair of shoes you're looking to protect from getting dirty, or some old favourites you want to preserve the look of, Ultra Repel can help. By modify the surface tension of all footwear materials - including leather, nubuck, and suede - Ultra Repel causes all liquids to slide off! Ultra Repel dries clear, and doesn't affect the finish or feel of your footwear.